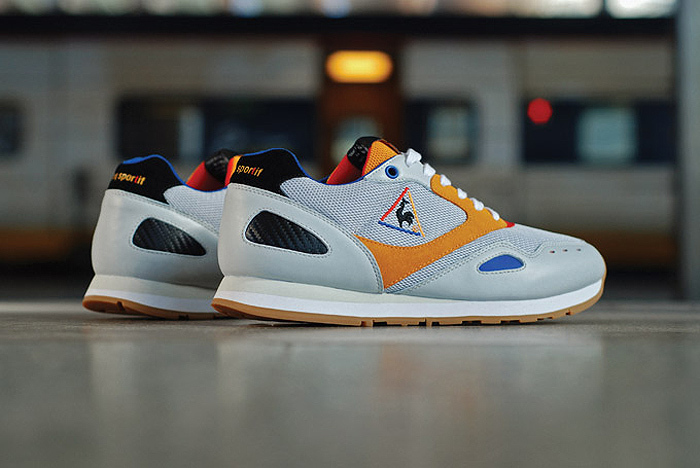 Crooked Tongues continue the high quality collaboration output, teaming up with Le Coq Sportif for a nostalgic, but refreshing, take on the Flash model. 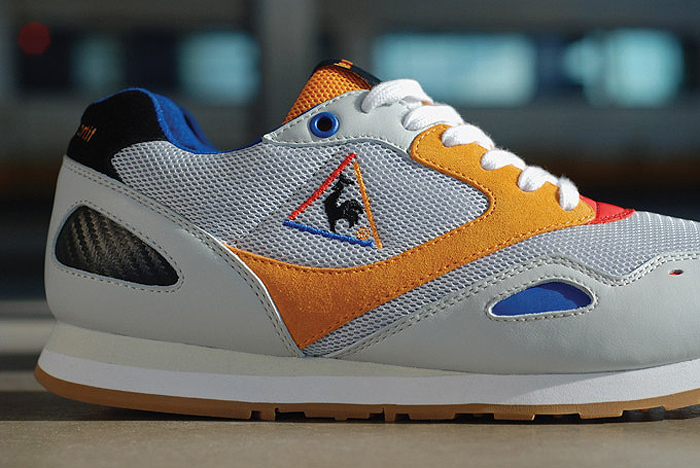 The Flash silhouette has been leading the way in placing Le Coq Sportif back amongst the cool kids. 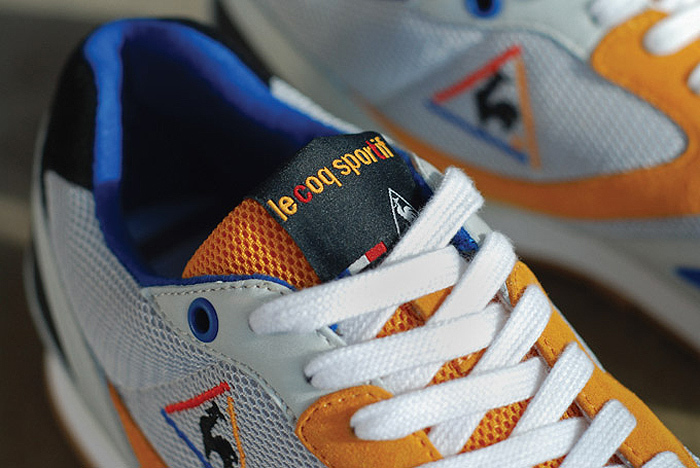 The OG reissues and 24 Kilates interpretation resulted in lots of heads rolling and supporting that show were more heavy hitting collaborations by Foot Patrol and Sneaker Freaker. 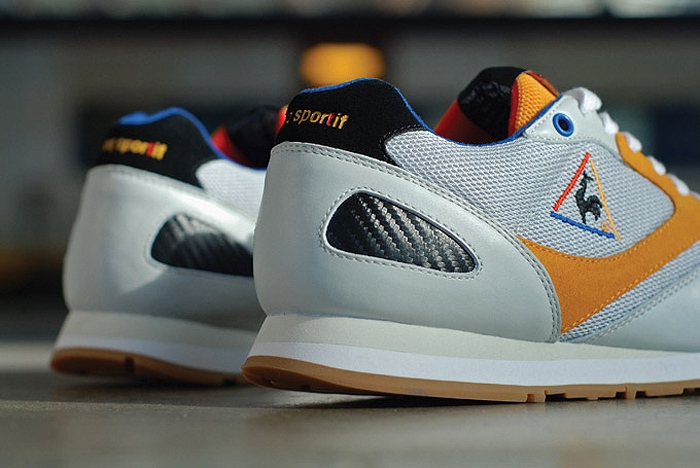 This collaboration hits the bullseye again, with the ‘CT Flash’ design utilising a mixture of reserved and bright colour pops. 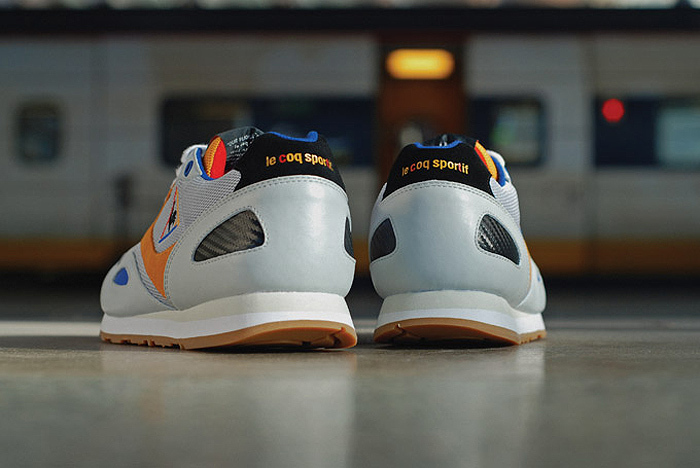 Who’d of thought that a Eurostar inspired shoe would be so appropriate. It is here. Amongst the appealing look that the colours provide, there’s an emphasis on materials. Synthetic suede is switched for real suede, there’s a carbon textured heel, blue and red 3M with leather and mesh complimenting the suede panels. Oh yeah, there’s a gum outsole too. It’s not surprising that this is shoe is so good. 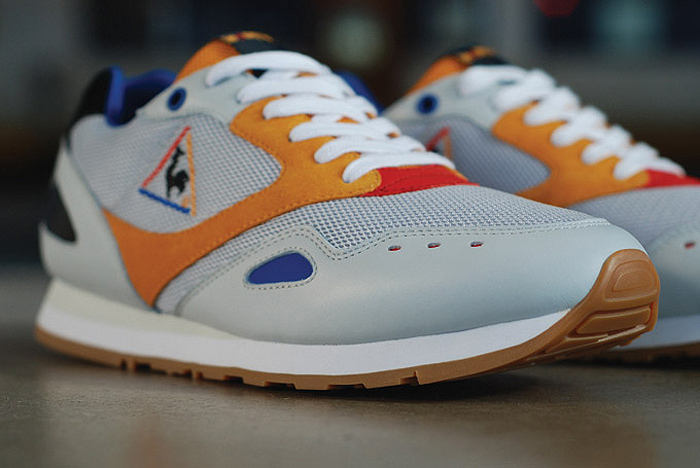 Le Coq Sportif are doing great things right now and CT’s creative vision never fails to disappoint. These will be dropping on Saturday 7 December, over at Crooked Tongues.